Resort hotels provide their guests with a complete on-site holiday experience. Comfort, convenience and choice are a resort-style property’s hallmarks: a one-stop shop for hassle-free holidays. 5-star resort properties typically include the following: beautiful surroundings, sophisticated dining options, a choice of room types, sports and wellbeing, spas and pools. And of course, a 5-star service with a smile. If you can throw in a great location, then you have a strong resort proposition. One that not only delivers excellent customer satisfaction but plenty of opportunities for generating on-site revenue as well. However, for a resort hotel to really stand out it needs to offer guests facilities and experiences that go beyond the expected. The Pine Cliffs Resort on Portugal’s Algarve coast does exactly this, and takes the definition of a ‘resort’ to a whole new level. Featuring a golf course, no less than seven pools, nine restaurants, a lengthy menu of sports activities and leading children’s facilities — you name it, they ’ve got it. A-Z food and drink options: Pine Cliffs has extensive and varied food and beverage options. No less than 9 restaurants and plenty of bars provide choice and convenience. Guests can choose between formal or informal, indoor or al-fresco, poolside or beachfront, traditional or modern. The list goes on. Whether it’s a family looking for the convenience and choice of a self-service buffet or a couple looking for a fine dining experience, the Pine Cliffs Resort has all tastes, styles and budgets covered. Children facilities and activities for all ages: The Pine Cliffs resort embraces the concept of ‘happy parents, happy children’ to the nth degree. They have dedicated kids’ clubs spanning 3-13 years, a crèche for children aged 6 months to 3 years and a babysitting service. Mini-golf, tennis, treasure hunts, children’s pools and a dedicated Children’s village spanning 7000 sqm are just some of the available facilities. Great pool scene, spa and sports: The Pine Cliffs resort has 7 pools dotted around the resort, one for each day of the week. There’s an indoor heated pool and a kid’s pool in the children’s village, Porto Pirata. The resort has almost every conceivable sport and wellness facility on site: a spa, gym, Annabel Croft Tennis Academy, basketball, volleyball, football pitch, golf academy — not forgetting water sports on the beach. Resorts often have some of these facilities, but rarely do you find all of them in one resort. Extensive room choices: From terraced townhouses to 4 bedroom villas with private pools, the room choices are almost as extensive as the facilities menu. The wide range of room types available at The Pine Cliffs Resort means it can attract a wide range of customer types. Couples, families, extended families and groups will all be able to find a room type to suit their needs. This flexibility is particularly beneficial for weddings, groups and the incentive markets. Golf on the Algarve: the coastline of the Algarve is renowned for its excellent golfing facilities. With a cliff-side golf course and a Golfing Academy manned by PGA professionals, Pine Cliffs positions itself clearly as an excellent choice for golfers. Jude Rodrigues Da Silva, Sales Specialist explains why the Pine Cliffs Resort offers more than just sun, sea and sand. What is your role at the Pine Cliffs Resort and why did you choose to be part of Pine Cliffs Resort’s family? I’m a Sales Specialist (Account Manager) responsible for the French, UK, Scandinavian markets and LGBTQ segment at Pine Cliffs Resort. I chose to be part of the Pine Cliffs family because it’s a well-established, luxury resort famous for creating memorable holiday experiences over the last 26 years. It’s managed by Marriott International and being part of Marriott means being part of a proud history and a thriving culture. I really feel ‘at home’ here. What makes Pine Cliffs Resort stand out from other properties in Portugal? Without a doubt, it has to be the location. Think about the Algarve and what springs to mind? Images of the standout coastline, breathtaking ochre cliffs, golden sandy beaches and the deep blue of the Atlantic. The Pine Cliffs Resort has exactly this view and this instantly appeals to customers wanting that Algarve experience. Combine this with a fantastic range of facilities and services, which cannot be found in any other hotels in Portugal, and the Pine Cliffs Resort really stands out from the competition. Your guests spend a lot of time in the hotel. What do you put this down to? Our guests spend a lot of time enjoying the resort. Some guests never even bother leaving the resort. We have a fantastic variety of dining options, facilities and services. Guests can enjoy golf, a game of tennis or keep fit in the Pine Cliffs Goes Active gym. In addition to seven pools, we also have state of the art wellness facilities at the Serenity Spa, perfect for some pampering. Guests can even enjoy cooking lessons at MIMO Cooking School. Happy children make happy parents. How does the resort cater to its younger guests? We devote 7000 square meters to our Kids’ Club facilities (up to 8 years) which we call Porto Pirata and comes complete with two full-size pirate ships. The junior club offers air bungee, tree climbing, basketball, and foot volleyball (seasonal). Throw in an 18-hole mini-golf, multi-sports court, and swimming pool and the opportunities for fun are endless. What’s more, kids can enjoy time with their families on the football pitch, Annabel Croft Tennis Academy and not forgetting the beautiful beach. And as we know how much kids like ice-cream, we have ice cream stands all over the resort! We noticed that you showcase the Portuguese character within the hotel in every room or piece of furniture. Each time you use a different colour. Is there a concept behind this? 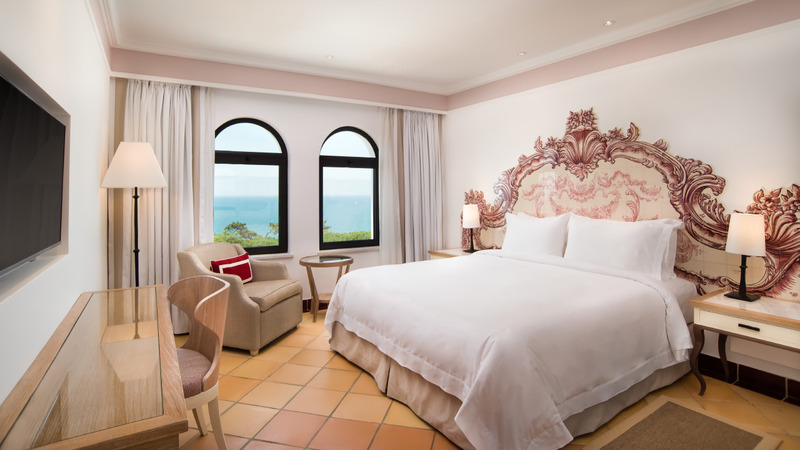 Pine Cliffs Resort is a very authentic property with Portuguese and Moorish architectural styles which seamlessly merge, just like the region of the Algarve. We use hand-painted tiles in several colours. That said, there isn’t a strict concept behind this. We just let the artisans decorate it freely and play with the colours as they wish. The result is stunning; I’m sure you ’ll agree. Which room or suite do families choose the most? The one- and two-bedroom Ocean Suites. With a fully-equipped kitchen, a generous living space and a sofa-bed, it’s one of our best options for a comfortable family stay. Portuguese food is renowned for its amazing flavours and nutritional value. How do your guests enjoy a gastronomic experience at the hotel? We have a fantastic variety of dining options in the hotel: a total of 9 restaurants, all open to children, each one with a different concept. The principles of Portuguese gastronomy and its nutritional value are common to all of these restaurants. Guests can dine in the stylish Japanese restaurant Yakuza, one of the finest Japanese restaurants in the Algarve or enjoy the classic atmosphere of Pine Cliffs Clubhouse. O Pescador serves up an authentic taste of the Algarve with its daily catch of fresh fish and seafood. The poolside restaurant O Grill provides a buffet of Portuguese tapas and dishes while the avant-garde Beach Club Maré creates fresh, innovative summer dishes using local produce. For guests who want to immerse themselves in the Portuguese gastronomy, we have the brand new MIMO Cooking School and Gourmet Shop. Guests can learn old and new Portuguese cooking techniques and taste some of the best wines and regional products Portugal has to offer. Portulano Lobby bar seems like an excellent choice for a relaxing drink or cocktail. Can you tell us the most popular drink that guests choose in this bar? The classically styled Portulano is a great place to enjoy a drink or cocktail. Our mixologists use our world-famous wines and spirits and local produce to create delicious beverages. It was with this philosophy that our most popular drink was born, ‘The Last Cocktail’: a combination of gin, rosemary, Algarvian pear, lemon juice and sparkling wine. Another offering that we noticed in the hotel is “Zest”, a beautiful corner where all family members love to go. What made you come up with a special place to offer healthy and fresh homemade juices? It was a very natural decision to open a space like Zest. Nowadays people want to eat healthy food and also want to know where it comes from. Organic food is tasty and good for you. We tried to take it one step further and honestly; I think we did it. The concept couldn’t have been better received by our guests, from the design to the quality of the juices. Serenity Spa offers an extensive list of treatments. Do you offer family packages or treatments dedicated to men? We do offer dedicated treatments for men using our signature quality men’s cosmetics brand called Gentlemen’s Tonic. We also offer a wide range of body treatments, facials and grooming. Although we don’t have any Spa family packages, we do have treatments for kids and also for couples. All the family can, therefore, enjoy a spa treatment at the same time. The hotel organizes special social and business events. If someone wants to hold their wedding or business conference on your property, do you offer any special packages? An essential part of our business comes from weddings, business conferences and corporate incentive groups. We do offer special packages for these kinds of occasions. Our specialized teams will be delighted to turn such special events into professional and memorable experiences. Do you also welcome local guests at Pine Cliffs Resort? Yes, of course. Our wide range of activities, facilities, services as well as events is desirable also to local guests. Pine Cliffs Resort is recognized far and wide as the place to visit for unique experiences in a luxury setting. What do your guests have to say about the property and the quality of the services you offer? We are delighted that our hotel exceeds the expectations of our guests. It is just as a much loved now as it was when it first opened as a cliff-top retreat 26 years ago. We ’ve won multiple awards voted by the general public such as the Gold Medal for Leading Luxury Leisure Resort 2017 by the World Travel Awards. Our guests consistently rate us very highly on booking engines and online social platforms. Can you share with us one of Pine Cliffs Resort’s achievements that you are most proud of? Also, Pine Cliffs Resort is one of only two hotels in Portugal mentioned in the prestigious Conde Nast Luxury Spas Guide for 2018. To end this discussion, can you tell us what the best time to visit the hotel is? It depends on what you ’re looking for. The Algarve is a perfect summer destination and boasts 300 days of sunshine a year. But don’t just think of a typical summer holiday. There is so much more to the Algarve. From world-class golf courses and gastronomy to medieval towns and picturesque fishing villages, there are endless things to do no matter what time of the year you visit. 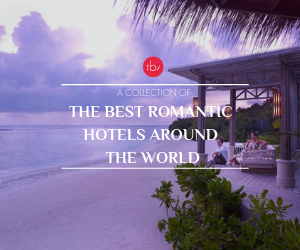 Resorts recognize that in an increasingly busy world, convenience, choice, and comfort are significant factors in the decision-making process of a traveller. These factors are especially relevant to the family market who are looking for everything under one roof. As the Pines Resort successfully demonstrates, their recipe for creating a luxury 5-star resort delivers not only excellent customer satisfaction but prestigious awards as well.